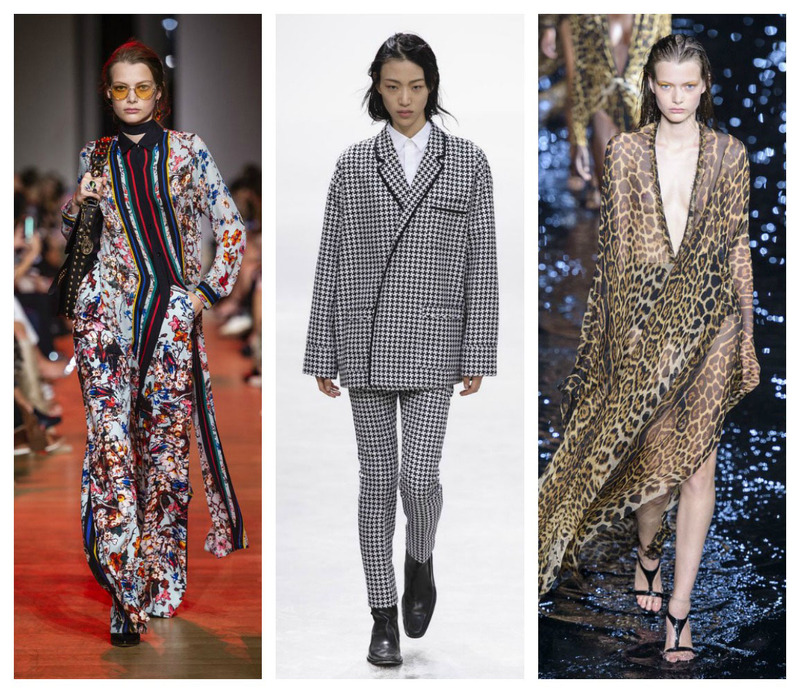 Year after year, Paris Fashion Week commands the attention of the world. Top luxury designers of the world compete in this lucrative high-level market that will ultimately dictate what we all will be shopping for in the next year. As the divine Miranda Priestly explains in the most epic monologue in Devil Wears Prada how Andy’s cerulean sweater was in fact chosen for her, what we like to do at Turnabout is a little seasonal show and tell with our Paris predictions. 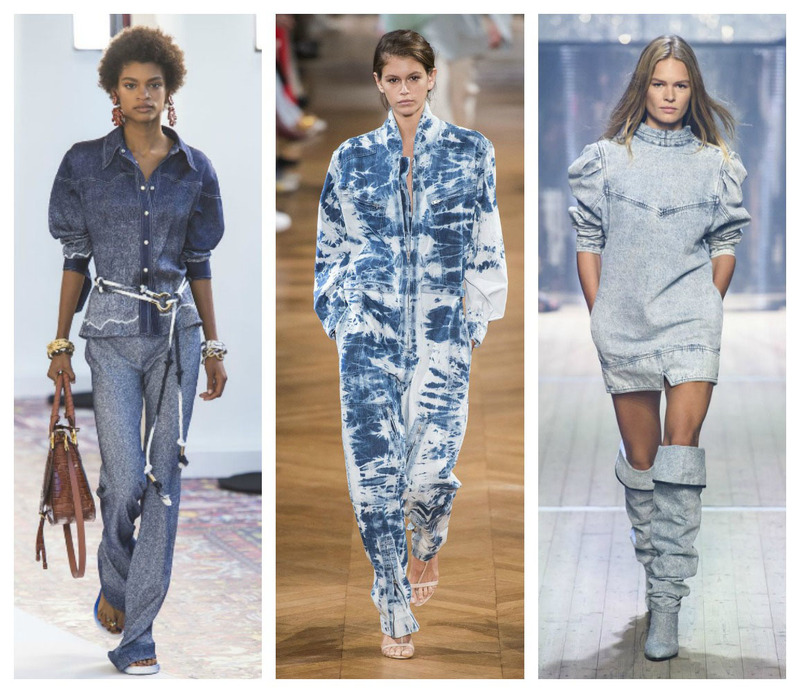 Three of our favourite labels – Chloe, Stella McCartney, Isabel Marant – came out strong with denim as a base fabric for multiple looks. Denim has been holding its own for many seasons now and, of course, that meant it was time for designers to reach deep into their bag of inspiration and pull from past decades. Watch for ombre, tie-dye/batik, and acid was to be coming back strong. Wallflower no more in these eye-jarring runway looks! 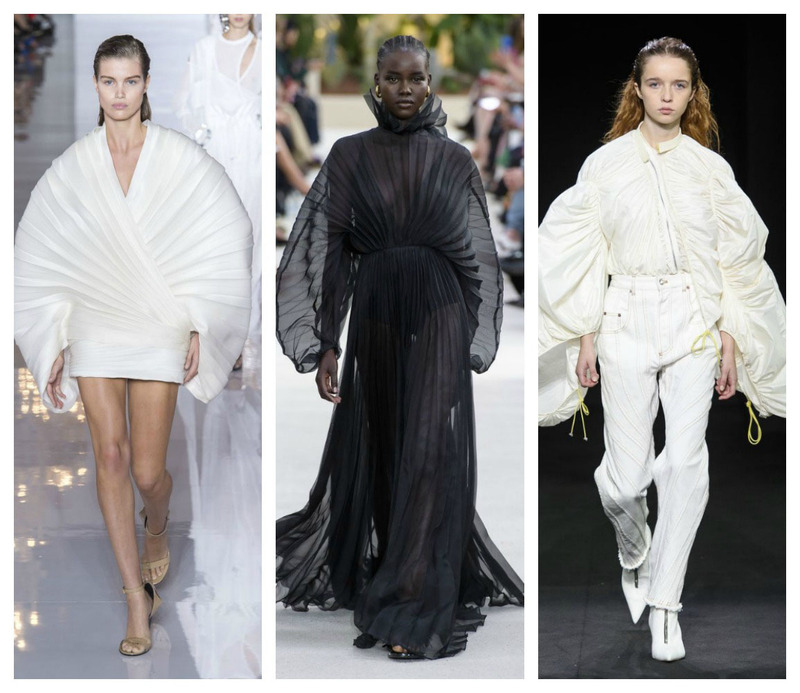 Elie Saab, Haider Ackerman, and Saint Laurent let loose their imaginations, and these oversized and overly busy creations are the statement-making results. 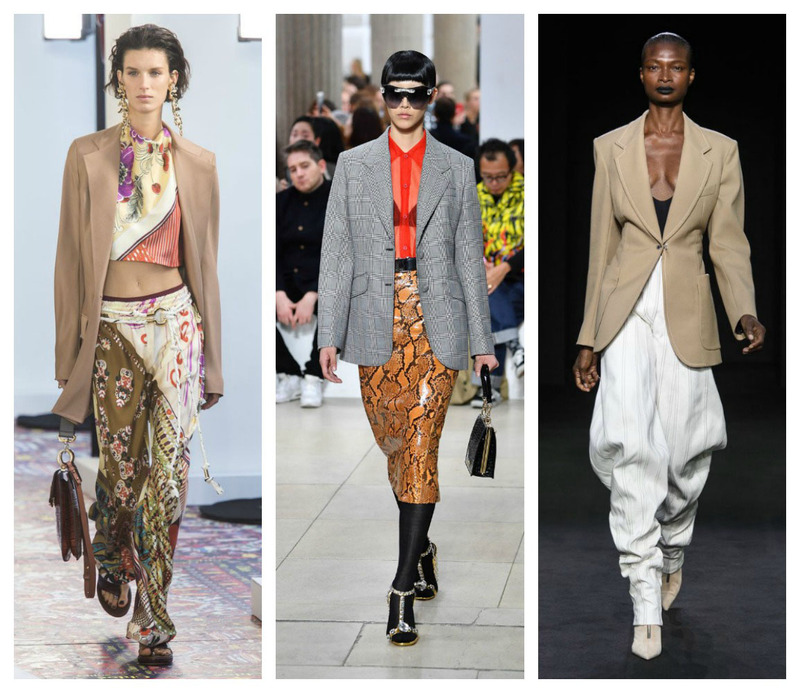 Wear unabashedly for full effect or add a solid coloured blazer to tone down florals and animal prints, swap out suit bottoms for skinny jeans, or don a wide-brimmed hat and over-sized handbag for change look from resort to urban. There was a time when there was a ‘code of conduct’ when it came to style. Everything had to match. Shoes with handbag. Gold with gold, silver with silver. Even eye-shadow to blouse colour. Creativity be damned! Thankfully, with each passing season, our desire to be unique and to explore silhouettes edges forward when collections such as Chloe, Miu Miu, and Mugler are presented. While florals may not be ground-breaking for spring, the pairing with the camel coat and the neutral accessories, keeps the Chloe woman look subtle and sophisticated. Miu Miu broke every fashion rule in this one outfit and yet she is stunning. Every piece in that ensemble stands on its own. Mugler shines with this look that explores shape – body-hugging cami, all business-blazer with sharp lines, and the ultra-baggy pant which hugs the slim pointy boot. In the late 80s, the dramatic Fortuny pleating of the legendary Mary McFadden gowns contrasted the sculptural simplicity of Issey Miyake’s mushroom pleats, creating a love-affair with volume and shape. Today, pleating is not only for evening gowns and avant-garde works of art; they are being delivered by high fashion designers – like the Balmain, Valentino, Mugler above – and throughout our favourite labels. Metallic knife-pleat skirts were everywhere last summer, poofy and bell sleeves were to-die-for, and tulip-shaped pleated cardis went over everything from floral summer dresses to little black dresses. 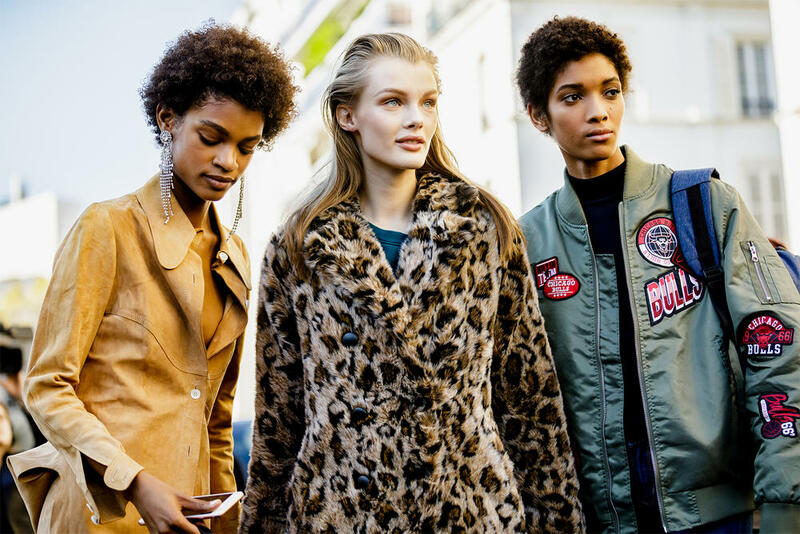 Although attending Paris Fashion Week is most likely not on the radar for most of us, enjoying and wearing the fashion that trickles down from it is. At Turnabout, we always strive to keep our stores filled with the styles and shapes that keep you looking and feeling fantastic every day!